So as we mentioned on the front page, Hyperdrive Pictures began in 2010 at Texas Student Television, which still broadcasts today from The University of Texas at Austin. Specifically, it began with the show Videogame Hour Live. As new producers came to the helm in 2009, they began to think of ways to improve the longstanding game-review show. After implementing those improvements, one producer had his eye on a narrative miniseries centered around the show. As Steven Zurita's story went through several iterations, it became clear it warranted its own show. Steven wrote with his friends, Paco and Samantha, and Combo Breakers was born! 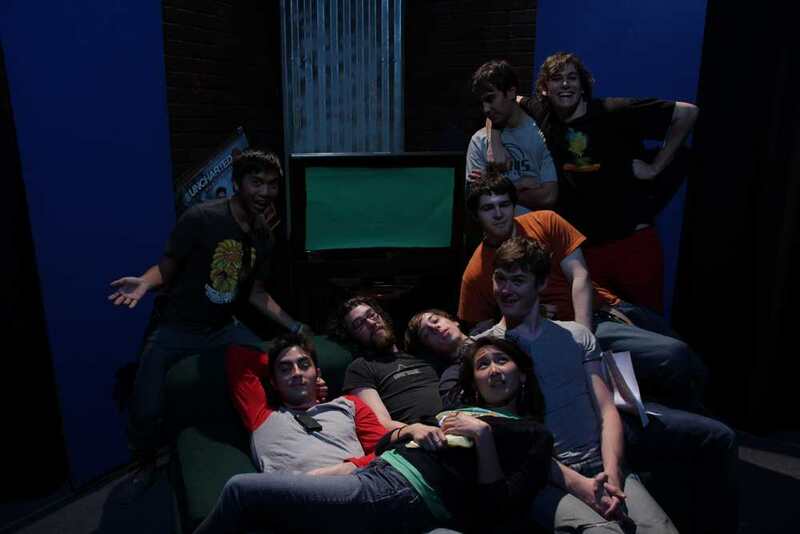 The cast and crew working on the new show consisted mainly of Videogame Hour Live volunteers, so the gaming theme stayed present. Once the pilot was nearly done, Steven decided to come up with a name for the group of people he was working with. Since he's a big Star Wars fan and he wanted his crew's projects to reflect a slick, state of the art production. So Hyperdrive Pictures conveyed that sense, and the name stuck! After working on Combo Breakers for a few seasons, the crew graduated. Since many of the original crew members moved to Los Angeles, they decided to keep making content there on a new, independent Youtube channel. And that brings us to where we are today! Want to get in touch with the crew of Hyperdrive Pictures? Tweet us @hyperdrivepics or message us on our Facebook Page. And you can also email us at hyperdrivepictures@gmail.com.